Eryk Pruitt's 2014 novel Dirtbags is a tall tale, a couple-on-the-run story, a moving noir story as Jim Thompson or, especially, David Goodis might have written it, a rural roman noir, a dark comedy with a touch of Southern Gothic, and satire without hitting the reader over the head to make its point. It's also a serial-killer story for readers who hate serial-killer stories, thanks to its blessed absence of interest in abnormal psychology. I'm as urban and suburban as readers get, so for me, tone is all important in rural noir. The story has to take me to an unfamiliar place, full of unfamiliar, colorful characters without, however, patronizing those characters or turning them into caricatures in the name of country or Southern color. Dirtbags manages this balancing act, and that's why it's a Detectives Beyond Borders best book of I read in 2015. Thought I knew what I was getting into when I picked up Dirtbags, but I was wrong. It surprised the hell out of me. Dug it a bunch - Hashtag too. Yep, this book stands out among rural and, I don't know what you'd call it-- lowlife or screw-up noir. Looks to me like Pruitt is up there with Johnny Shaw. I'm convinced! 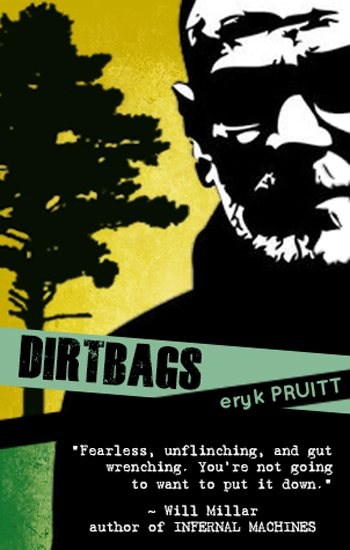 I'll add Dirtbags to my library or bookstore "shopping list." I wish I could name one book that was the "best" from the previous year. I'll give it some thought and perhaps announce it soon at Crime Classics.